Art historian and historian Chris Wood pioneered cultural tourism when he founded Australians Studying Abroad in 1977 and has since led over 150 tours to some 45 countries. He has taught at Melbourne, Monash and LaTrobe universities and America’s Rhode Island School of Design. 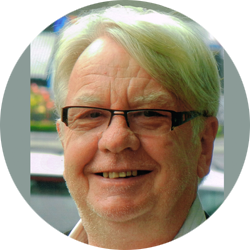 He has published two books on architectural history and tourism theory and written many chapters for edited editions. He has made a documentary film on Tuscany and been a guest many times on ABC radio. He has also given public lectures throughout Australia and in the US and his photographs have been published in some 350 books and magazines. From Jason and the Argonauts, to White Russian émigrés fleeing Revolution, the Caucasus has always seemed to outsiders as a luminal place of mystery and escape, on the edge of civilisation, of fog-bound, looming mountains, gnomic prophecies, and secretive, verdant valleys. In reality, this world has been a cockpit of human development for millennia – a place of deep, syncretic and antagonistic faiths, warring empires, and powerful indigenous medieval kingdoms. This lecture will examine the variegated peoples and societies of the Caucasus, whose histories are fundamental to our understanding of the geopolitics of the modern world.